RushLane, a media source reported that a Hyundai dealer has confirmed that Creta has started arriving at their dealerships for customer preview purpose. The recently hyped Hyundai Creta compact SUV is going to be launched in 6 different variants with Base and S variants being offered in petrol as well as diesel engine options while the SX and SX(O) version of Creta would receive only diesel engines. 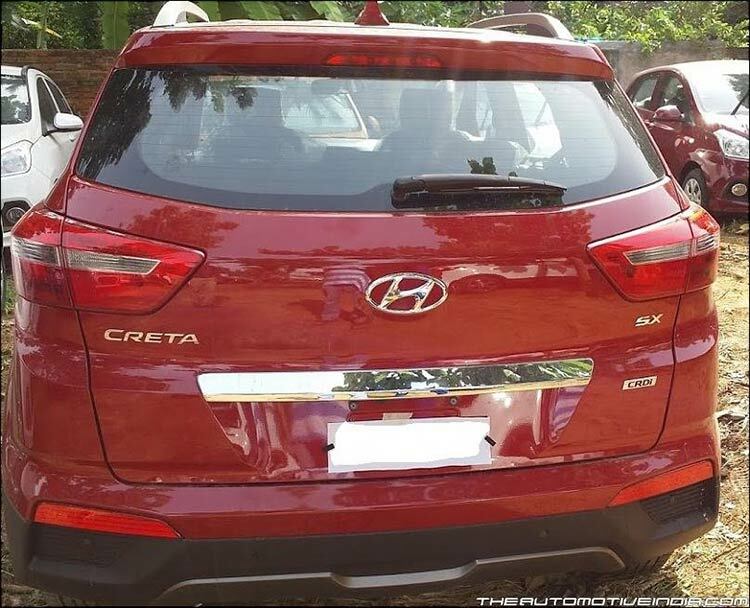 Hyundai Creta is expected to be priced between INR 8 lakhs and INR 11 lakhs, Creta is already opened for bookings at authorised dealerships even though the Hyundai has not officially commenced the same. Creta which measures 4.27 meters in length has got a variety of safety features that includes dual front airbags besides side and curtain airbags. Hyundai Creta is also going to sport ABS, EBD, VSM and HAC along with a 7 inch touchscreen AVN system, reverse camera and smart entry with engine starter button. The new Hyundai Creta car is not in a sub 4 meter category and measures 4,270mm in length and sits on a wheelbase of 2,500mm. Width of the new Creta is at 1,780mm while height is at 1,630mm while the car boasts of ground clearance of 200mm. Creta sits on 17 inch diamond-cut alloy wheels that comes with black radiator grille and micro roof antenna, the new Creta from Hyundai India sports a host of interior comforts. Ample storage space, adequate head, shoulder and legroom for passengers in the rear seats, Creta also comes equipped with twin AC vents for rear seat occupants, central armrest with integrated cup holders as well as leather seating.